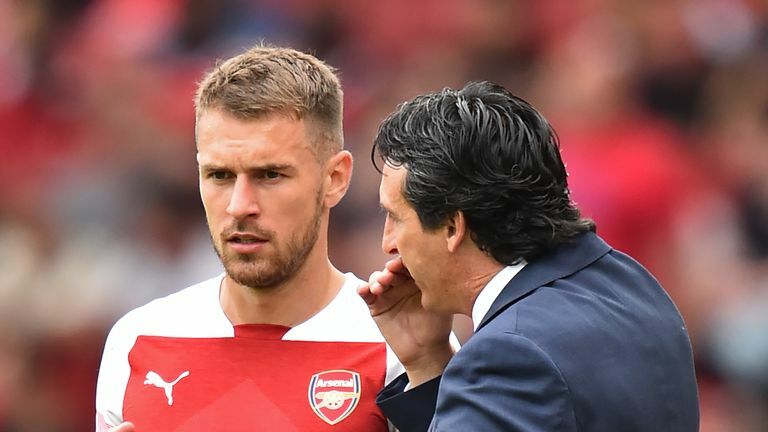 Arsene Wenger says Aaron Ramsey could yet sign a new deal at Arsenal, but that the club will not budge over offering him a "huge" deal. Sky Sports News reported last month that negotiations over a new contract had broken down. The midfielder has since outlined plans to remain at Arsenal until the end of the season - when his deal expires. However, former Gunners boss Wenger insists there is still hope he could remain at Arsenal beyond this season. "We tried that before and it still can happen," Wenger said when asked if he would give Ramsey a new contract. "I don't really know what is happening at Arsenal. Sure, Aaron Ramsey is in a strong position now and he will use this position. "But I don't know how far Arsenal will go in terms of giving him a huge contract. These things were once my responsibility but not anymore. I am happy about that."